Federal's Personal Defense line of ammunition is designed specifically to give you a favorable edge in a dangerous situation. 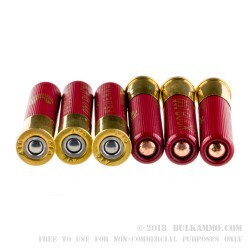 These 000 .410 shells have the largest sized pellets possible for .410 shot, and are designed especially for results with the Judge revolver. The larger 000 pellets provide more terminal energy per pellet than their smaller counterparts, and they produce tighter patterns, which help to prevent overshoot or misses in dangerous situations. 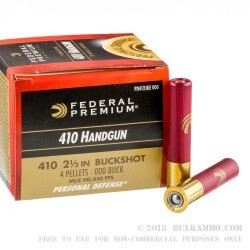 Federal's 000 buckshot .410 shells are 2-1/2'' in size and produce 850 foot pounds of muzzle energy. They are packaged in plastic trays of 20, with each tray wrapped in a "federal premium" cardstock box. This case includes 10 boxes of ammo. 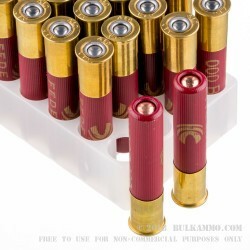 .410 ammo is getting expensive locally so I was happy to find a good deal here.